It is no secret that I love wine and I love parties, so why not put them together? I am admittedly not a wine snob and really know very little about wine except that I like to drink it with friends. It would be fair for you to be thinking, “if she knows so little, why would I take her advice on hosting a wine tasting party”? Well, because I did my homework. I love to research a topic to death and I love to make lists so I don’t forget important details like how many glasses to have, which foods should I serve, how much wine per person, and more. Plan on this being a FUN party and don’t take it too seriously. Plus, I have a friend who is considered an expert and her insight will be invaluable to my party. Take this one step at a time and enjoy the planning as much as the actual party. First, you need to decide on a theme. Who knew there were so many themes to choose from? It is not a bad idea to let your friends know what theme you are planning so they kind of know what to expect. Whatever theme you choose, you will need food! 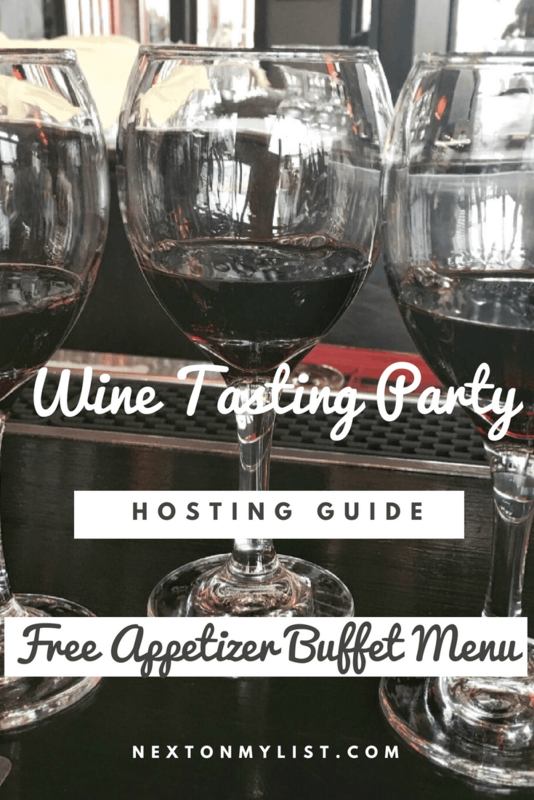 Get a Free Appetizer Menu Guide to serve with the wine, including a wine score-sheet. Friends taste wine from bottles that are concealed in a burlap bag and have fun talking about each wine and recording opinions on a “score sheet”. Ask each guest to bring a bottle or two of their own favorite wines under $20. You could follow the Blind Test format or the Non-Bind Test with guests sharing why this wine is considered a favorite during the tasting. Half of the wines are very affordable and the half is more expensive, maybe fine wines. This is kind of like a blind test because your guests don’t know which is which. After tasting has your friends privately rank them in order of price high to low with their reasons. I decided to go with the Blind Testing Party. I want everyone to have fun and that included maybe “pretending” they knew what they were talking about as they rated the wines. Remember to pair each concealed wine with a snack but also have your friends rate the wines using a score- sheet. In the end, each wine is totaled and the scores are added up to find the “favorite” wine of the party. I decided to determine favorite red and favorite white because some people really have a preference between the two. Plan on a buffet area where you can place appetizers. Comfortable seating with a place to comfortably set down wine glasses and plates. If you have space, your dining room table or an outdoor setting may be perfect. Do not burn candles or have fresh flowers as they may interfere with the aroma of the wine. Play soft background music so everyone feels relaxed and can talk about wine. Wines do not have to be expensive. As I said, I am lucky to have a good friend who does know wines as she has a career in wine distributing to restaurants and wholesale markets. She came in really handy here. I don’t want to overwhelm my guests so I decided to keep to six different wines. I wanted to find three different red wines and three different white wines. Make cards to place in front of each wine with tasting notes. The cards should describe the way the should taste, “hints of chocolate, blackberry notes, citrus undertones, etc. ( do not put the name of the wine if the theme is Blind Tasting). You can often find the descriptions on the bottle of wine purchased or do some quick research online. Make sure the white wine is kept cool and reds should be slightly chilled. Uncork red wines about an hour before the party, allowing time for the wines to breathe a little. A tasting serving is about 2-3 ounces and one bottle of wine will contain around 10 tasting servings, so for a group of 8-10, so one recommendation was two bottles of each varietal. I always tend to have too much of everything when I plan a party, but I always stress about running out of something! This party will be no different. For 6-8 guests, plan on 2 bottles of each for tasting and two bottles of each to enjoy when the tasting is over. Actually, I may get 3 bottles of each for after tasting- what if everyone likes the same one?! I also found a source that recommended buying one bottle per person, so by my calculations above, I should be more than safe. I wanted to do my best to pair the wines with foods that bring out their flavors and not clash, so after I chose my wines, I started making a list of possible food choices. Before you start your grocery list, get a Free Wine Tasting Menu, with plenty of appetizers for a buffet. You can get everything pre-made from your local grocery store or deli, or you can make some of your own appetizers. By using my list, I think you can do either. Don’t forget plates and napkins. I always buy lots because people like to start over with new plates. Cheese is the natural wine pairing partner. 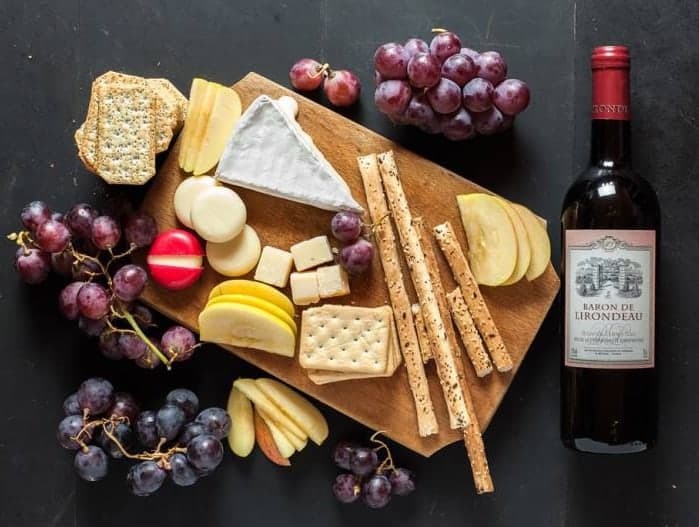 Look for a wide variety of cheeses, such as a mix of something soft (brie), something spreadable (fresh chevre), something aged and hard (aged gouda), sharp cheese (aged cheddar) and a blue (gorgonzola). A Cheese Fondue Set? Check out the Free Party Menu here. Labeling cheese is easy to do by standing a wine cork up vertically and pushing a small paper clip in to hold your card with cheese name. However you do it, label the cheese. Crackers and/or bread are a must to help slow the digestion of the wine and to cleanse the palate. Include cheese knives on your cheese platter. People will want to cleanse their palate and we all know people drinking wine should not be hungry. Find amazing appetizer suggestions in the Free Wine Tasting Menu. How delicious are wine & chocolate??? How could that combination not be DELICIOUS?? For this part of the party, the Blind Testing will need to be over so you can direct your friends to a “Dessert Table” pairing a few wines with chocolate. Choosing quality chocolate with the right wines are key for this dessert menu. Our friends at Kendell-Jackson have shared the following wonderful wine and chocolate combinations. After I made my menu list, I made a list of supplies I would need. I have featured these accessories through-out the article. I ordered what I needed right after I decided on my theme, several weeks before the party. You don’t need to do this, shipping is fast. Make your list and order closer to the party giving yourself time to change your mind. Do a table for white wines and a table for reds. Most people prefer to taste whites before reds. Have tasting progress from light to heavy. For example, with reds you may wnat to start with a Pinot Noir which are light and move to a heavier Cabernet. What I learned about wine glasses after all these years of drinking wine: A white wine glass has more of a U shaped bowl than a red wine glass to preserve aroma and maintain a cooler temperature. 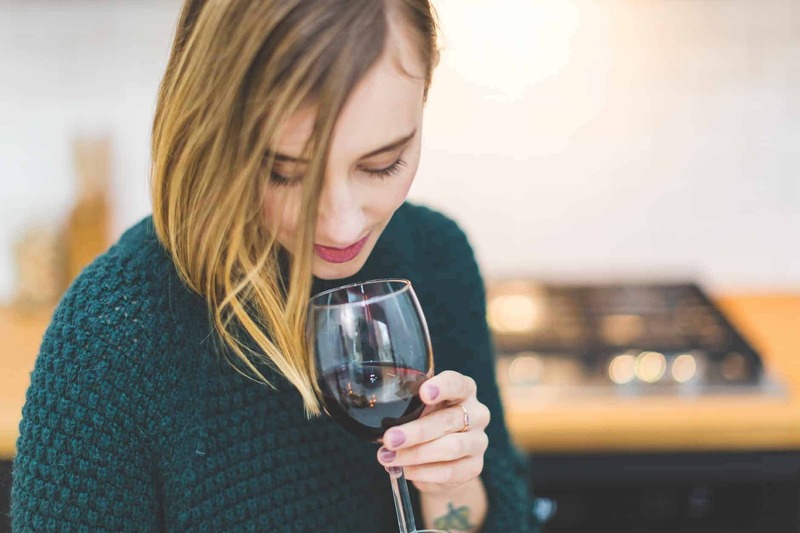 The choice of a red wine glass has a lot to do with diminishing the bitterness of tannin or the spiciness to deliver a smoother tasting wine. Because of this, red wines are best served in large wine glasses –Bordeaux and Burgundy glasses are the most common. The balloon-shaped glass is perfect for capturing the complex characteristics of a light or medium-bodied red wine. This may sound obvious, but be sure your galsses are clean. I would recommend after washing them to dry them with a tea towel. I am buying Stackable Premium Quality Plastic 8oz Wine Glass Great reviews, sturdy. Less table space for serving – stackable. Plan for at least 2 glasses per guest so they have to rinse less. When using glasses to be reused, provide water to rinse the glass and a bucket for pouring the water out- Stainless Steel Spitoon. Be ready to explain plan for the evening along with how to proceed through the tasting, completing the score sheet and inviting them to your appetizer table. I’m Ready for My Party to Begin!! So Are You! P.S Don’t forget to grab the Free Delicious Wine Tasting Party Menu & Download the Score Sheet.